Two parts of a roll (Greek : εἰλητάριον, elitarion). The parts are joined, not in sequence, containing text from the Liturgy of St. John Chrysostom in Ancient Greek. 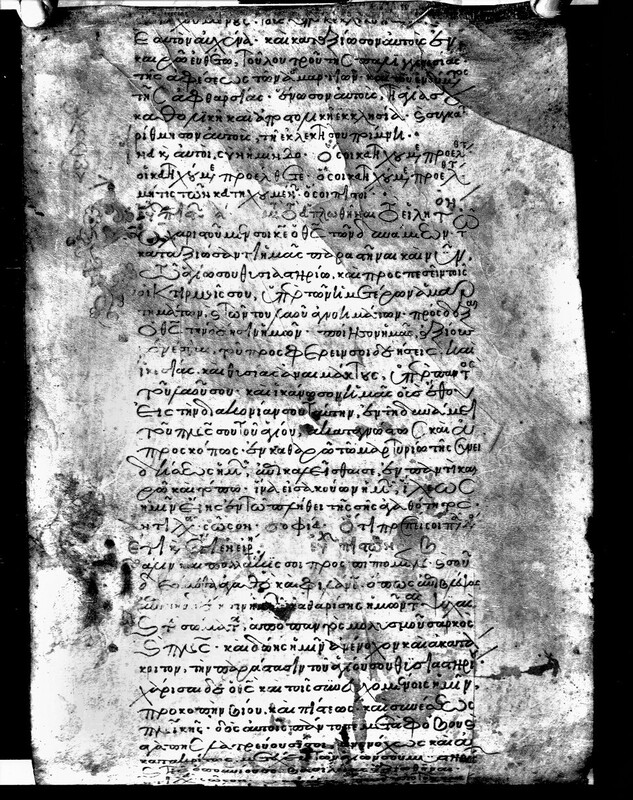 The text is written perpendicular to the long side of the document. Most of the content flows horizontally from left to right, vertically from top to bottom. The next horizontal line is positioned below the previous one. The script is minuscule with several illuminated interlace initials. The initials and some letters, mainly at the beginning of the row, are placed to the left of the main body text.